Entries are grouped in five collections, each with an icon on the main menu. 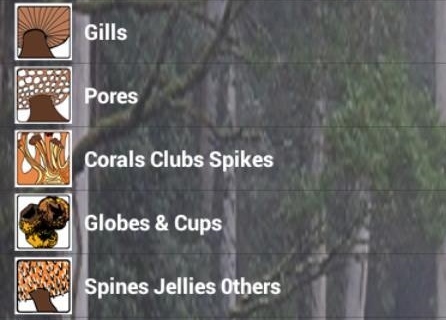 So pressing the Gills icon for example, produces a list of categories within the Gills Collection as shown below. 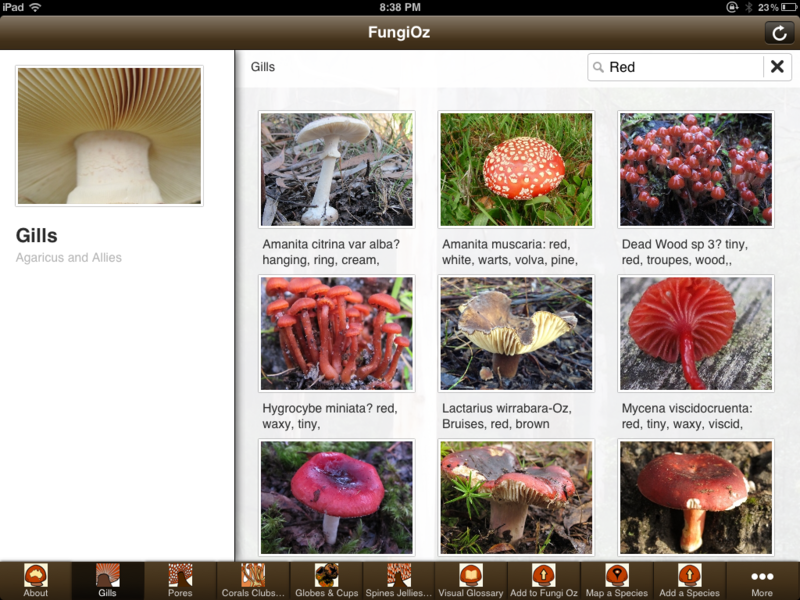 At the top of each collection and category page of FungiOz app you will see a search bar. 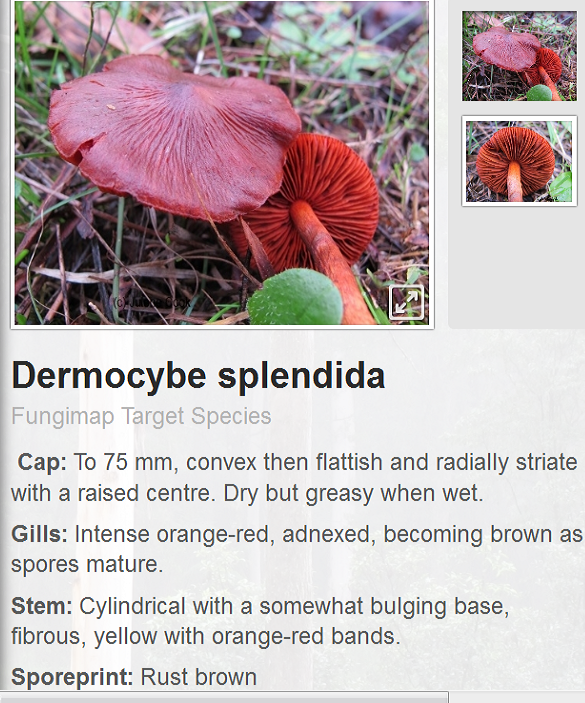 Here you can enter a single keyword that describes a feature of the mushroom you want to identify. Various keywords will produce a result but just type one per search or you will get a "not found" result. Red for example, will display all the mushroom species that are red in some way. Usually, it will be a red cap. The red could also refer to gills, stem, or even the colour of bruising on the gills of the mushroom. .
Typing "Red cap" will produce "no result". 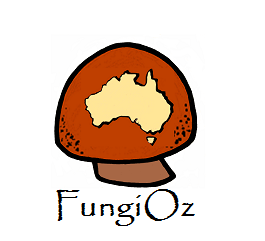 Mushroom species names also act as keywords. 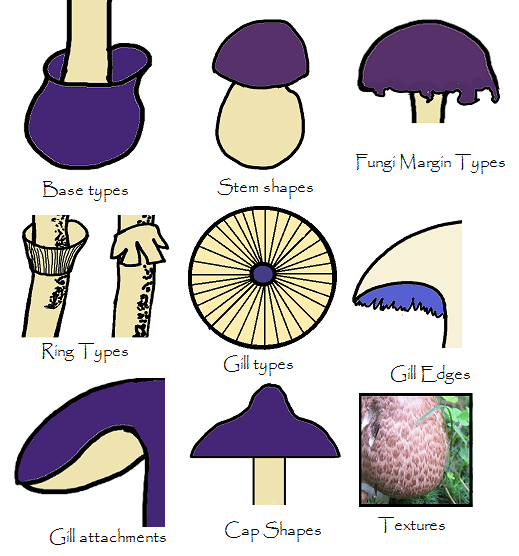 So typing Russula for example will display all the Russulas. If the search produces a mushroom with no red it will be because the letters red are part of a word in a species' name. 2b. 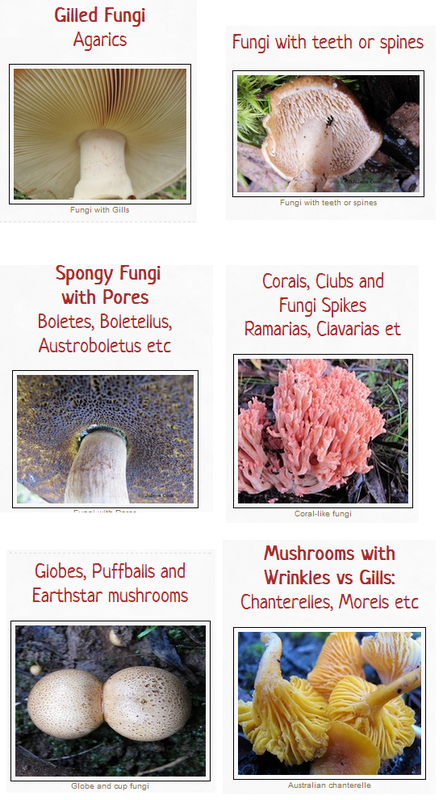 Fungi identification via selecting a collection category is more efficient. ﻿ Let's say you notice the remains of a web in place of a ring. Selecting the "Web Vs Ring " icon would produce a photos and names of species that have a cortina. 3. 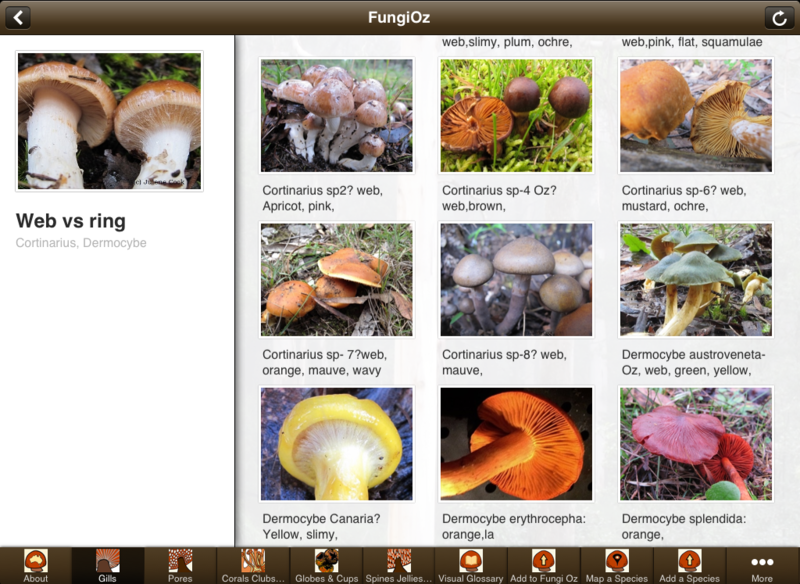 Now it is easy to match your mushroom to one of your search results or to a mushroom in the collection category you have chosen. No Mobile Reception where You live?